This is a massive book with many case studies, informed perspectives on many issues, and many links to other references. The editor, Emeritus Professor Clement Tisdell, is one of Australia’s most widely-published economists, and a leading expert on the economics of wildlife tourism. In the first chapter, he points out that since tourism is a conglomerate of many industries it is now the world’s largest industry in terms of employment and global production. As this is a review for Wildlife Tourism Australia, and the book is so big (988 pages) I’ll concentrate here on the aspects most relevant to wildlife tourism. Tisdell and Wilson explain the meaning of public economics and problems of applying the concept. They include discussion of government subsidies to tourism (some of which benefit locals as well as visitors), the user-pays principle (especially in national parks and wilderness areas) and other topics of interest to anyone involved in wildlife tourism. Hohl has much to say on ecotourism as an instrument to conserve biodiversity. He lists a rather alarming and perhaps depressing number of obstacles to achieving such goals but still appears to hold out some hope for the possibility of ecotourism assisting the conservation of the world’s biodiversity, and is of he opinion that with increasing pressures of the word’s population on natural areas, in many cases ecotourism may be the only way to halt the destruction of nature. He also cautions conservations not to be too pure in their demands – if building a casino near a national park can help save the park, this is better than losing it. 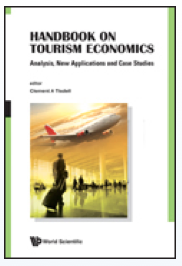 Jakobssen and Dragun, in an overview of environmental and conservation issues of consequence for tourism policy, argue that “effective tourism policy will need to be developed to balance a range of objectives which may appear to be pulling in different directions.” They point to issues such as the relative environmental sustainability of tourism relative to other land uses and cite cases in Australia, Madagascar and Europe where the development of tourism has led to substantial environmental improvement, but also the dangers of over-use (including the amount of land required not only for accommodation but roads, airports, waste disposal, provision of water etc. ), interference with wildlife and their habitats, and the interplay of private and public goods. Ecotourism risks being perceived as elitist if environmental protection is attempted by limiting numbers in natural habitats and raising prices to invest in conservation, but there is also a perception of unfair “free rides” by unpaid access to public goods contributed to by others. They consider that “considerable innovation is necessary to design efficient instruments … to achieve the desired level of environmental remediation”. Esparon et al ask whether eco-accreditation benefits operators financially, and they discuss the necessity for customers to believe in the genuineness of certification assisting the environment if they are to be willing to pay higher prices for certified product. Driml discusses the importance of national parks in Australian tourism and examines what is known of expenditure in their vicinity by visitors and by the government,. They point out that tourism in protected areas is “potentially both an economic justification for conservation and a threat to conservation if not well managed.” This is a very timely consideration in Australia, where many of our national parks are being opened up to new activities and facilities within the parks. Tawfik and Turner use an Egyptian coral reef that is visited extensively for dive tourism, to argue that an ecosystem services should be taken in management plans, incorporating impacts of land use as well as the seascape. Mitra and Lama discuss tourism in a remote region rich in wildlife and other natural features in an eastern state of India. While seeing the potential value of wildlife tourism and ecotourism for the economy and conservation of natural values in the region they point to the difficulties in attracting and satisfying visitors to such remote, under-developed areas. Duhs writes of the importance of international students to Australia’s economy, pointing out that a third of the students graduating from our universities were not born here. The chapter didn’t say this, but there could be significant opportunities here for wildlife tourism, both connected with actual courses n environmental science or tourism, and for introducing international students to the unique features of their temporarily-adopted country. Duhls also points to problems with future growth of educational tourism. As you might imagine, there is much further information packed into the 988 pages (including tourism demand models, tourism market segmentation, the changing role of travel agents and other intermediaries) to interest anyone in the tourism business. Each chapter also lists many references to further literature. I was a little surprised by the number of typos in the book, which I assume was a result of time constraints during the proof-reading, but this should certainly not deter anyone from delving into this excellent and valuable publication. It’s not a cheap book (see http://www.worldscientific.com/worldscibooks/10.1142/7956) but if you can’t afford a personal copy it would be well worth asking your local library to purchase one.